The great thing about 6 Click Pens is that they are 6 pens in one! The second best thing is that they write in 6 colors. And the third best thing is they're covered in colorful summertime designs. 6 Click Pens are super fun and a must-have. 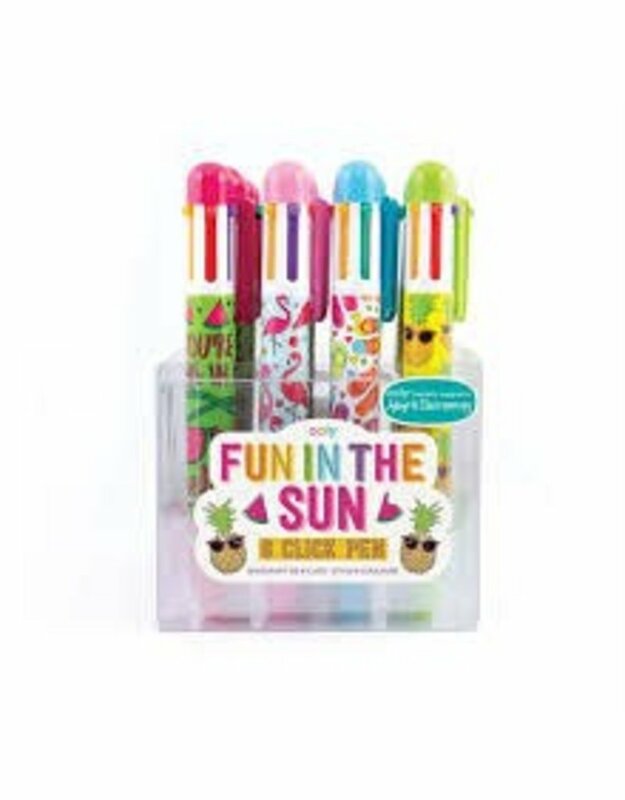 6 Clicks are great for quick access to different colors of ink; perfect for organizing your school notes, signing birthday cards and doing creative artwork! 6 Click Sweet Things write in Blue, Black, Purple, Green, Yellow and Red ink.